The company offers a repair and maintenance facility for large commercial vehicles and trailers including regular safety check inspections; servicing and 'Roller' brake testing to enable operators to comply with O-Licence requirements. Our staff take great pride in having one of the highest pass rates at our local (HGV) test station. We prepare and present many vehicles for their annual MOT inspection ranging from new to 30 year old vehicles We are also able to offer 'Diagnostic' repairs using the latest 'Jaltest' software. With close links to agriculture and in particular livestock haulage, SMLRS Ltd is the sole South West agent for Houghton-Parkhouse, possibly the largest manufacturer of specialist livestock transporters in the UK. Based in Cumbria they produce what is probably the best range of livestock transporters available today. SMLRS Ltd are original equipment suppliers of the renowned VBG drawbar coupling range, we can alter the rear of your chassis and hitch you up, or supply parts direct to you. SMLRS Ltd can also supply used commercial vehicles. We specialise in the supply of rigid vehicles and used close coupled trailers. 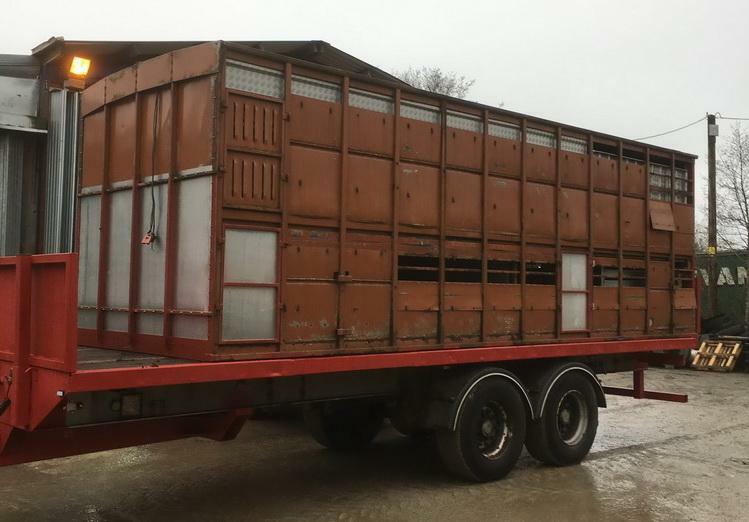 We can source a used chassis, carry out any 'Wheel-base' or chassis alterations, build a new body and supply a new or used livestock transporter. In effect a 'One stop shop', it may take a little time but it can be done. We often have a stock of used trailers which are available for hire. New for 2019 we now have a 44 tonne tractor unit for hire. We thank you for taking the time to read this page and if you think we could help you with your requirements, please give us a call on 01769 572220 and we may be able to assist. Unit M Pathfields Business Park South Molton Devon EX36 3LH .